Bitmari is revolutionizing how cryptocurrency can make economic changes for African Nations. We spoke with Sinclair Skinner, CEO of Bitmari, about the future of crypto in underserved communities. The rise of cryptocurrencies has made headlines across the U.S. with many early Bitcoin investors achieving millionaire status. These stories dovetail with announcements from companies like Microsoft, Expedia, and Dish Network that they are now accepting cryptocurrencies as valid methods of payment. One area getting less attention, however, is the opportunity cryptocurrencies present in developing nations in places such as Africa. That’s because unlike fiat (government-issued) money, peer-to-peer currencies like Bitcoin and Ethereum operate on a decentralized digital system called “blockchain,” which allows users to send money directly to each other without having to go through a third party like a banking institution. Countries like Nigeria, South Africa, Kenya, Ghana, and Zimbabwe have already seen early adopters that use the likes of Bitcoin. One of those early adopters is Sinclair Skinner, an African-American mechanical engineer, human rights activist, serial entrepreneur and former elected official in Washington, D.C. He was one of the organizers of the Million Man March, “the largest all-male march ever held in the United States with an estimated one million African-American men in attendance” in the summer of 1995. We had the privilege of sitting down with Sinclair Skinner, who is now the CEO and co-founder of a startup called “BitMari” an Uphold partner app, which aims to empower the people of Zimbabwe with financial tools using blockchain technology as the underlying engine and is a strategic partner app with Uphold. Skinner suggests this realization prompted him to turn to technology as a way of finding new solutions. “Many of the problems we see can be undone more quickly, more effectively, and on a much larger scale by using technology,” he added. BitMari is a Pan-African remittance service powered by Uphold that leverages blockchain technology to allow people to send money to Zimbabwe from anywhere in the world using cryptocurrency. Launched in June 2015 and based out of Harare, Zimbabwe, BitMari is currently the only blockchain-based company in the world to receive a money transfer license from the Central Bank of Zimbabwe. The company offers a mobile wallet, which uses the Uphold API, and is available to download in in the iOS and Android app stores. BitMari users can select between language options including Swahili, Shona, Wolof, and Ndebele. That’s why BitMari’s Internet-based payment platform enables Zimbabweans to not only make simple cross-border payments but also to save users significant amounts of time and money. According to Skinner, a lot of people left the country to work abroad in an effort to support their families following the collapse of the Zimbabwean economy in 2009. “They face high fees to send money back home through traditional remittance platforms like Western Union,” he explains. In 2017, the international average cost of remittance was approximately 7%, while transferring money to and from Africa came with processing fees as high as 20%, according to Skinner. The country recently went through a phase of hyperinflation starting around 2009, which culminated in Zimbabwe’s government eliminating its official Zimbabwean dollar altogether. As of January 29, 2014, the country’s Central Bank declared that it would, instead, legally accept a multitude of currencies. These include the U.S. dollar, Australian dollar, Japanese yen, Chinese yuan, Indian rupee, Euro, South African rand, Botswana pula, and Pound sterling. BitMari is determined to push those boundaries, and help Africa establish a financial network that is ready for the 21st century. To take BitMari one step further, Skinner and his co-founder Christopher Mapondera announced an initiative called “Zimbabwe Women Farmers Accelerator” in 2016. The pair aims to bring investments into Zimbabwe’s agricultural sector, which they hope will provide the training and markets necessary to sell crops across borders. The initiative is in partnership with Agribank and The Women Farmers Land and Agriculture Trust. Says Skinner, “The best part is that we provide funding to these women farmers through blockchain.” In fact, they successfully crowdfunded $23,541 for 100 women farmers early on. Skinner’s efforts with BitMari in Zimbabwe make it staggeringly clear that Africa is ready for change, and that increasing opportunity for cryptocurrencies will demonstrate their unique value proposition. The continent’s fast-spreading adoption of mobile phones is one reason for that. A recent GSMA report states that“…there were 557 million unique mobile subscribers across Africa at the end of 2015, equivalent to 46 percent of the continent’s population.” The report also forecasts that by 2020, the number of Africans using mobile phones will grow to 725 million. This explosive growth of mobile device use is expected to spread access to the Internet across Africa. That will provide a fertile breeding ground for new technologies (like cryptocurrency and blockchain) to take root, and replace outdated legacy systems. In theory, this could translate to economic growth for Africa, in addition to financial security and freedom — not just from other countries, but also from some of the oppressive regimes that many African citizens live under. 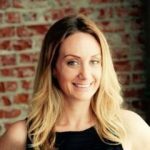 It should be interesting to see how companies like BitMari will contribute to this financial revolution. 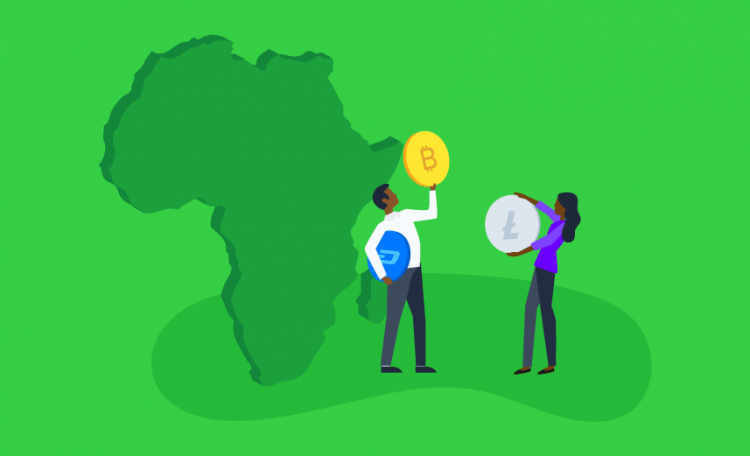 With so much change happening for the people of Africa, the adoption of cryptocurrency may be a catalyst for the whole continent’s reawakening. To learn more about BitMari you can visit their website, follow them on Twitter, check out their referral programand download their App!